I’ve always loved meal delivery services, because it reduces food waste, and even if some kits require a lot of prep work, at least you’re eating a fresh meal. And even though I love to cook, there are weeks when, between a more-than-full-time job and an infant, I just want someone to give me a low carb meal delivery with exactly the ingredients I need, no more, no less. And I want it to taste good. Finding low carb meal delivery services is difficult, and finding keto ones is even harder. So I’m always on the watch and have tried a fair number of them. Some deem themselves as Paleo friendly, but then they’re stuffing you with quinoa and pineapple, and that’s no good either. I’d even be happy with one that regularly has meat and salad, or meat and zoodles, or meat and cauliflower mash. I know it’d get repetitive, but I could get into it. TK is a new addition to this list, because they’re my new favorite, and I don’t see anybody beating them out of my #1 position anytime soon. They have always had a few good keto options on their menu (Souvlaki — sooo good!) but now they have a Lean & Green series where there are at least 10 delicious meals that are versions of their other meals, but without the carbs (and also lower in fat, so just throw some olive oil or ghee on everything). For pricing, you can expect to spend about $100 per week, but I like that I can add in individual items like additional protein or a package of blueberries if I want to (and I often do!) Plus, proteins are non-GMO + hormone + antibiotic-free, seafood is sustainably sourced, and ingredients are organic when possible. Not only are the recipes at TK super simple, the veggies pre-chopped, and the flavor always astonishingly good, the ingredients are always fresh and well packaged — something I can’t say about most services. Plus, I absolutely hate getting a big cardboard box I have to break down and recycle each week, and Terra’s Kitchen comes with a unique refrigerator box that you simply put on your doorstep, and they’ll pick it up the next day. I can’t recommend them enough! Here is my personal “ambassador” link which will save you $35 off your first delivery. KB sent me a box of 14 meals to try out and overall I think it’s a fine offering for those on a keto diet, and one of the very few low carb meal delivery services that is 100% keto! While I tend to enjoy cooking and taking the “hard road” to keto, my husband in particular (also on keto), devoured these meals. They arrive pre-made and frozen. While they recommend cooking everything in the oven (around 30 minutes) we found many of them tasted fine in the microwave when we were short on time. Although I didn’t particularly love all of the sides, the mains were very good. As for a top three, we both loved the Chiles Verdes Chicken Thighs, Ribeye with Bacon Buttered Brussels, and the Lamb Curry Shepards Pie. 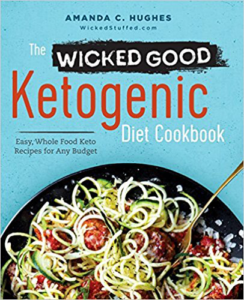 I think KB would be great for someone single who is on keto, busy, and who was already eating freezer meals before keto and enjoys the convenience. What I like about Green Chef is that they have a keto plan, but what I don’t like about Green Chef is that some of the “keto-friendly” options are in the 20 carb range. 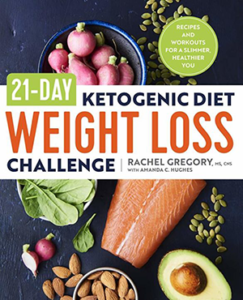 They used to be my top pick for this list, because I like that they use organic products, they include nutrition facts, and they already had a few keto-ish meals before they started their keto plan. I do still think this is a good option for keto-ers and they seem to be absorbing some of the feedback from the keto community. See the menu here and save $40 on your first order. When I say I love Plated, I mean I REALLY love Plated. All of the recipes I’ve tried have been creative and delicious, and unlike others, their produce is almost always very fresh. In some other boxes I’ve legit had to toss half the ingredients because they were rotten. Gross. Not the case with Plated. When looking at this week’s menu (which has seven dishes to choose from), I could find only one low-carb item on the menu: Greek Beeftekia with Feta and Kalamata Olives. This lack of options is what I’ve experienced regularly, which is why I’m not a subscriber anymore. Another negative of Plated (at least when it comes to eating low carb) is that now that they’re super popular, they “sell out” of certain dishes. So even if I decided to opt into Plated for the one meal a week that is low-carb friendly, it might be sold out. And back I am at the grocery store, defeating the purpose. So I love Plated, but it’s not low-carb or Paleo-friendly. They also only list calories, not carbs as their nutrition facts, and some of the below options list the complete card of facts. HelloFresh is another box I’ve tried and although I liked it, I did run into a few rotten ingredients, and the recipes weren’t as straight-forward as Plated’s were. I also think Plated has better packaging and insulation. The meals were all good though. What I don’t love about HelloFresh is meal selection. You get two choices: the classic box, or the veggie box. Since we can’t have soy and we need protein, our option is the classic box. It’s $69 for three meals (per week). Unfortunately none of the options this week were low carb. In the following week, they had zucchini noodle lasagna, but even that recipe had 40 carbs. Ouch. That’s two days of carbs, no thank you. But what I love is that they offer a full-fledged nutrition fact card which is important to us low-carbers when making decisions about our meals. HomeChef is the first real low-carb friendly meal delivery service I could find, but at the time of this writing, unfortunately, I couldn’t find a single zip code that it delivered to (tried Boston, San Francisco, Providence), other than New York City. Basically, you go in, and select your food preferences, and not only is Paleo an option, but there’s a further option to suggest low-carb dishes. When I ran through the tool, I ended up with three almost perfectly keto dishes I could order. Unlike HelloFresh, it doesn’t display nutrition facts on the site, but it does on the recipe cards, which you can download from the site. And three almost perfect keto dishes is better than 0 keto dishes. When I looked at next week’s menu, I found three more that appeared to be keto friendly. And the week following there were two. Gobble is still limited delivery like most of the new dinner kit startups, but I had high hopes for this one. They’re marketed as 10-minute dinner kits which sounded amazing because all the ones above tend to take thirty minutes to an hour (or more.) And I love to cook, but the 10-minute meals sounded intriguing! Unfortunately, no low-carb options were available while I was reviewing. Just the regular filler sides: pasta, rice and potato. Blue Apron used to be a bit of a dictatorship. If you wanted one of their boxes, you’ll be forced into one chicken, one beef, and one fish dish every week. That’s why I never tried them. Well balanced, but dude, I’m not the fish-type. Now you can say you don’t want fish, but they’ll give you a vegetarian dish instead. I looked through four weeks of meals and couldn’t find a single low-carb dish. On to the next one. Marley Spoon is another fresh startup in the dinner kit world. And gosh their items sure do look tasty, but again, nothing low-carb friendly. They did have some grilled lamb chops and green beans which looked amazing, but we all know how big lamb chops are, and the main side was a giant corn of cob. If I got a giant corn of cob I don’t think I’d be able to stop myself from lathering it in butter and chowing down. In the following week, they did have a skirt steak romaine salad, but that’s not really something most people need a recipe card for, or to pay $8.90 per person for. Peach Dish had a few options. The chicken breast, walnut, and snow pea salad recipe includes sugar, but I’d have just omitted it. The chicken fundita looked pretty good, and low carb. What I LOVE is that they do breakfast too, so you could order ingredients for a sweet pepper frittata too, or add a couple breasts of chicken or steak to your order if you want to make a bigger meal (or just so you can skip grocery shopping – yay!) In my opinion, if they keep it up with the low carb options, these perks would make it a win for me. Unfortunately I looked into future weeks and didn’t have the same success. I also didn’t find the ordering process to be very user-friendly. Sigh. Munchery is only available in New York, San Francisco and Seattle, but the first thing that caught my eye was the whole-roasted lemon and herb chicken. Of all the meal / ingredient delivery services, this was a first. They’re like eff the sides, we’re gonna give you a whole fricking chicken and that’s it. And you’re gonna love it. But dammit, this was the only low carb dish I found. HOWEVER I appreciate that they offer nutrition facts. Chef’d calls themselves a “meal store,” and there are TONS of keto-friendly meals you can order (well, it’s just the ingredients, you cook at home). Some of my favorites were the chicken with tarragon, 40 cloves of garlic chicken, chicken en papilotte and chicken w/ goat cheese. So what’s the catch? The meals are $28-$40 for two, and you still have to make them. The recipes are made by famous chefs like Scott Conant and publications like Women’s Health and Men’s Health, but it’s eons more expensive than the other services. But you have a better selection. And nutrition facts are available. Terra’s Kitchen -Hands down, the winner. Lots of low carb options, delicious, excellent ingredients, and a refrigerated box where everything always arrives cold and perfectly packaged. Green Chef – I still like that the ingredients are organic. I have definitely had a box where I had to throw the whole thing away due to poor packaging, though. And they have a keto menu that I am hoping they will listen to their customers about more often. Home Chef – From what I can tell, another solid choice with good variety of items week to week that a keto person would be able to eat and cook. Nutrition facts are also available on the recipe cards. Do you have anything to add about low carb meal delivery services? I’d LOVE to hear your suggestions/recommendations in the comments! GreenChef is now available in a bunch of “western” states (including Texas, where I live). I just ordered a box to try it out. Diettogo has low carb options – already cooked so you just heat and eat. I did it for awhile – food was good – didn’t like having all the styrofoam containers to dispose of. Try TopChefMeals.com available on the east coast but slowly expanding west. They have entir ePaleo menu with no starches so extremely low carb. All the meals are less than $10 so a great value as well. Thanks Paul, the Paleo menu does look very ketogenic friendly! I first saw the diabetic menu which was fairly high carb with potatoes and rice, but the Paleo menu is very good for anyone on Keto. Thank you for this article! I want to try a service to change the recipes we have at home, but my husband and I eat very differently. There are a lot of services here that I didn’t know about. I love that Green Chef is organic, and they deliver to my town. I’m excited to give it a try! Thank you again! Good of you to run through these options, thank you, it’s helpful! One of the problems with these services (many of them ) is that it’s subscription only. That’s the case with Green Chef at least—and it’s too bad. They try and say there’s bi-weekly or other options, but for people that travel for work (as I do) and have unpredictable schedules, no subscription service will do. It’s food, people! I wish there were more options for delivery a la carte. I have done the same exercise since switching to Paleo, but Blue Apron was my first love. Since then I’ve tried Green Chef and Home Chef. We LOVE GreenChef, but unfortunately it packs a punch on the wallet. Then we found HomeChef. LOVE HomeChef, and it’s just as cheap as Blue Apron, with twice the protein! And like you said they have breakfast and smoothies and fruit! This is our new face, and they’ve definitely expanded their delivery area. I recommend you try these HomeChef again! GreenChef now has a once-a-month option, with plenty of lead time to cancel even that, if you’re interested. Thank you for your reviews saving me quite some time. I have been using Gobble and their meals are truly delicious. But here I am researching meal delivery services that have low carb meals because I am unable to say no to the starch portion of the yummy Gobble meals and hence have run a muck and am gaining all my weight back. Looking like I have to just go back to planning, shopping (the worse parts) and cooking again. Sun Basket has some really great Paleo options. At least 3 to 4 to choose from each week. We’ve had very few duds in more than 4 months of meals. I’m looking for something a little different now, though. After a while, some of their Paleo options tend to be similar repeats, tweaking an ingredient here or there, but honestly, if we kept on it, I’d be happy. I think I’m going to switch it up with Green Chef now, though! Has anyone tried factor75.com? it says keto meals delivered….looks like microwavable trays, so not cook-it-yourself, so wondering how good it actually is? I just tried Factor 75. The meals are ok. I wonder how keto they really are since one of the keto meals had pineapple salsa. It wasn’t that sweet though. The website is clunky. You can’t say i want only keto meals. You have to choose your meals every week, but you have to click on each meal for another mini window to pop up and tell you if it’s keto or not. I wish they would just put symbols in the corner of the picture of the meal to remove that extra step. Finally, I’ve been able to choose a variety, but the next week I didn’t like one of the only 3 options so I ordered double of one of the others. Hope I like that one. I have tried it and wasn’t very impressed with them. goheelsturner I looked at the ketogenic meals seem a little high for me in the 20-25 carb range, minus some fiber. JoeySilvia That’s great to know, thanks for sharing! ElGranTigre I agree, I know in the past most I have tried will let you pause weeks. The trouble is I found myself pausing all the time due to a lack of ketogenic options. Hi Sean, I don’t know where you’re located but a service called Mealmade appears to deliver prepared Paleo meals for lunch and dinner in San Francisco. You may want to look at UrbanRemedy. They’re pricey but fully prepared and have multiple meal plan options. Hi. Thanks for great info. I was looking at sun basket and then wondering if it was good . They do have paleo. Have you reviewed that site? What do u think? Thanks! Looking forward to my recipes as i just srarted liw carb one week ago! Sunbasket is a little pricier than Home Chef, but those two services have the best paleo and keto meal plans. My boyfriend (he doesn’t have to watch the waist line, lucky guy) says Sunbasket has better flavor and I agree. They add more spice to the recepies and their packaging is far more recyclable. They use paper bags instead of so much plastic. Hi. Im considering home chef or sun basket. Was doing hello fresh then blue apron but going low carb. Have u tried sun basket? They have paleo? I havent yet. It looks like you are enjoying home chef ! Just wanted to compare! Home Chef is not advertised as organic. That would be the biggest difference between two. I have tried both. Sun Basket does offer alot more variety then Home Chef or Green Chef in menu choices I found myself skipping alot of the weeks of Green Chef because there choices without beef, pork, lamb didnt leave much to pick from or I didnt like the veg ones as much. Sunbasket you get like 9 choices and not all beef. There meals are very delicious and you can get some low carb ones also. The only down side I think is if you have any big eaters if wont be enough my husband tend to still be hungry after we split the meals I was fine Green Chef does seem to give you slightly more food. So I usually just add a salad with Sun Basket I prefer them. Taking a poll ! For paleo/ low carb. Home chef or sun basket and have you tried both? Home Chef will give you the option of low carb but the meals are still 40+ grams of carbs per serving. They are not all that healthy either high calorie high fat. Home Chef gives Total Carbs, and not Net Carbs. So the carbs are less. Also, since they only give you ingredients and recipes, you can throw out the sugar, and substitute it with Swerve, or leave it out. One recipe had panko bread crumbs, so I made my own with carb quick. Just got another one that has it for frying some chicken. This one I am going to grind up some Pork rinds and combine it with Parisian cheese. Home Chef is not certified organic Sun Basket is certified organics. Sun Basket has more variety and menu options with low carb, paleo, soy free, gluten free, dairy free and you can exclude meats you dont like they give you about 9 choices. Both are comparable with carb menus Home Chef is cheaper and non organic Sun Basket is $20 more a week but is certified organic and gives you more choices. I prefer Sun Basket for those reason. Thanks for this great post! I happen to live in Colorado and so I’m thrilled that Greenchef is your top pick! I can’t wait to give it a try! This is a really great resource, just signed up for greenchef to compliment my sunbasket account. I appreciate all your effort! Thank you! ICON Meals offers low-carb options, but they look like they could get boring. Atkins has partnered with CHEF’d to make meal kits based on their recipes. Again, it’s pretty pricy, and I’m not sure it is worth paying that much just to get the same recipes you can get from the Atkins site on your own. I’ve tried Home Chef, Hello Fresh, Green Chef, Blue Apron, Marley Spoon (disappointing selection), and Sun Basket. I’m looking for a good time to try Plated and Terra Kitchen (which even chops the ingredients ahead of time for you). I’ve had the best luck with Home Chef, but the carb counts still run between 16g to 26g per meal. I have tried icon meals. Food is fine but it is plain jane. Lightly spiced chicken,beef,fish,rice and veggies. It is more for someone who wants convenience over fancy meals. I love Terra’s Kitchen. Great tasting food, quick to get to the table seeing it’s prepped for you. Several low carb options. I’m trying diettogo.com for the first time. They actually have low-carb meals. And after calling customer service, I was able to switch to every other week. I got the 10 meals/week plan. And I don’t know about the rest of you, but I really only eat once a day and have keto friendly snacks if I’m hungry (rare). Plus that means I can still enjoy my favorite (albeit boring) meals. Diet-to-go has a prepared meals menu option called Carb30. Although at the time of this post I have not tried it, I did register for the 5-day/2-meals per day (no breakfast) plan. Hopeful! I wanted to try Green Chef for the paleo option with low carb. The only thing is if you have diet restrictions the Paleo option doesn’t allow you to request those. My husband is allergic to beef so we don’t have any beef in the house. I reached out and they told me that you can only request diet restrictions in their carnivore plan so that was a big bummer and would couldn’t risk it. I can’t believe there is no home delivery for we KetoDieters. Trying to find a service that is organic and low carbs is challenge only two that I have found Sun Basket and Green Chef. Sun Basket has some low carbs and offers Paleo, gluten free, dairy free, etc. and they seem to have more variety in meal choices then Green Chef. There recipes were delicious I absolutely enjoyed them the only downside versus Green Chef is there quantity amount seems to be slightly less then Green Chef. A few of there recipes my husband was still hungry and would of liked a bit more though for me it was fine and I was full. Green Chef it seems gives you a bit more food and there is enough for a small seconds if you want. Both are great though. 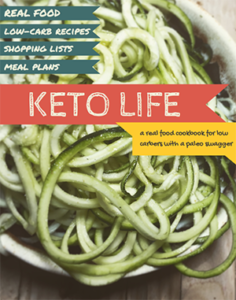 With Chef’d, check out the meals by the American Diabetes Association…I think they might fit your keto needs, and if you get the plan for four people, you can often get meals for $10 per person or a bit under. We just either cook all four portions and have the rest for lunch the next day, or only cook half at a time, if the ingredients allow us to do so. You can easily pause your meal deliveries whenever needed as well. I tried Home Chef because of their 3 low-carb meal choices per week. However, after using it for a few weeks, I found it to be pretty low quality meat and other ingredients. Massed produced, commercial/corporate factory food. You can really taste the difference when the ingredients are lower quality. They also used lots of stuff like evaporated milk in a can with all kinds of additives and perservatives in it. Blue Apron was my favorite for quality and freshness but got sick of paying so much on food delivery service when a lot of it is cheap filler food like pasta, rice, potatoes. Bryan, My meals are on the way, I’m very excited to have found you! I won’t eat meat unless it’s organic and pastured. I love that you put so much thought and love into your meal planning. Thanks so much. Bryan… I have heard that Ketoned Bodies was going out of business or restructuring ….. I did request to be put on your email list. Sounds like your service is something I would be able to use. Love the Grass fed and pastured meats, organic and no toxic ingredients…Hope you are up and running soon. I just tried meal made in San Fran. It was awesome. They use cauliflower rice! I’d like to hear from someone who has tried this as well! I just started a service called ketonedbodies.com. Are theyre any of these like Freshly (already made) that are good for keto? Yes it’s called ketonedbodies.com 100% grass-fed beef and 100% pastured pork and chicken. You will love it! I tried ‘Personal Trainer Food’ off a groupons promo and it’s great for pre-cooked protein & veggies. They all come in bag that you throw in the microwave. Pros: affordable per meal, easy, convenient, keto friendly, fast, delicious breakfasts- cheesy omelet went fast in my house. Cons: need massive freezer/ fridge space to store 28 days of breakfast lunch & dinner. Can get boring. Higher in sodium. Fr frozen, so not quite fresh. Ketofridge.com is really good a bit high per meal but super delicious and the site shows you the nutritional facts. You do have to order minimum of 5 meals per ordered and it has to be done by friday in order for you to get the coming week since they do prepare them a day or two before delivery. Definitely recommend ordering from there. Give us a try and I guarantee we are better. We only use 100% grass-fed beef and 100% pastured pork and poultry and actually go to the farm to get it ourselves!!! Even our cream is 100% grass-fed. Use keto10 for 10% off of your first order. I tried Green Chef but their meals (they offer Keto and Paleo) are way too high in Net Carbs for me. For example, this week I had one meal that was 10g, one that 12, and one that was 20g. I’m trying to stay close to 20-25g so this doesn’t really cut it for me. It would be great for those that have a little bit higher carb allowance. Someone may have mentioned this already–and it doesn’t change your review, which is spot on–but Plated actually does give their carb counts in the app. It’s not listed on the recipe card that comes with the food but it is included if you click on the recipe card in the app. Unfortunately not everyone cares to have a smart phone or use apps … it would be nice if their website had this information as well and included it on their cards enclosed with the meals. I just signed up with Sunbasket and they have paleo options and options to choose your recipe with low carb or protein and veggies. I’m just starting a better eating plan after getting advised by the doctor I really need to lose 45lbs. What’s better for weight reduction and long term healthy weight maintenance low carb or keto. I’m no chef been having a meat or fish fresh non root vegetables and salads, but I’m running into a bordem wall. Thank you for this research! I just ordered my first box from Green Chef! I can’t wait yo try it! I am in my first month of Keri and I am loving it! I’m so excited to find you and read more about the beginning of my weight loss!! I didn’t read through all of the comments but did anyone mention http://diettogo.com? They’ve got carb30, diabetes and vegetarian diet plans. They give weekly prices but for 10 meals a week it was around $13/meal. It looks good but I haven’t found any reviews. They would deliver to me and I live in the country in Michigan. So they probably deliver most areas of the US. 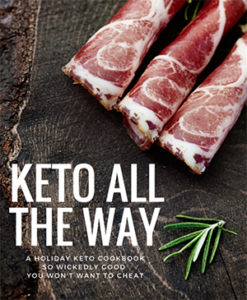 I am trying the new Keto option from Green Chef the week after next to keep me on track after Thanksgiving and thru holiday season. This one looks great too & I will definitely order to add to my mix, thanks! Thank you so much, this really made quick work of my search. Super appreciated! Thank you so much for this article. I totally recommend visiting themealkitreview.com for more rankings. love these guys. Be careful with Ketoned Bodies, placed my first order with them 2/15/19. Never got a confirmation, nothing delivered. No response from calling, email or chat for days. They did take my $142 with no problem though. Is there a delivery service that has NO Carbs? Really like your website…. very informative…. helping me make wise choices for keto delivery services…thanks so much!